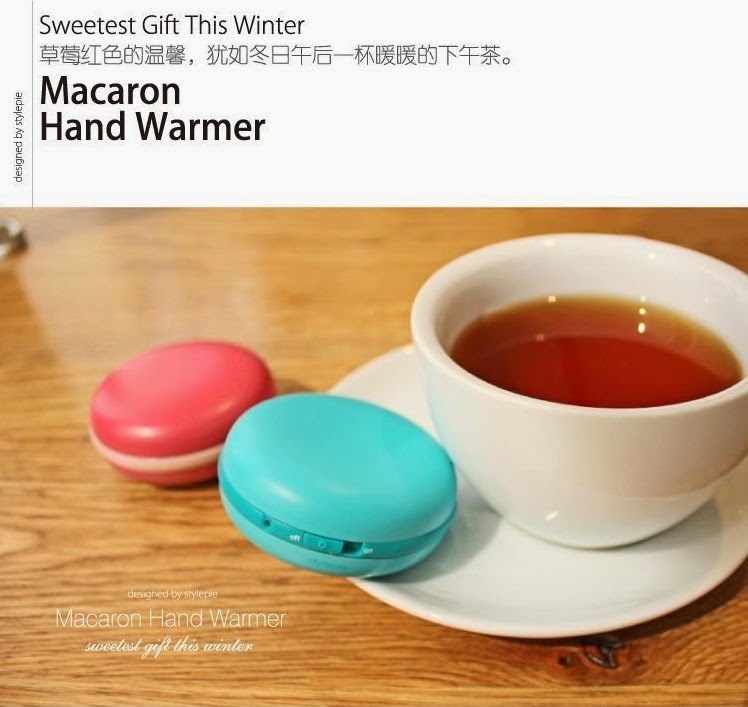 Macaron Hand Warmer for sale. 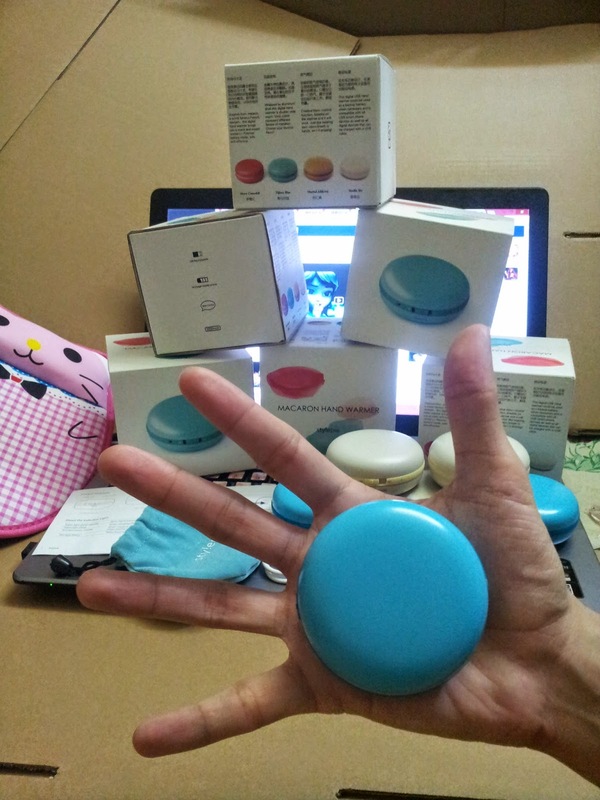 Buy Macaron Hand Warmer in Malaysia. 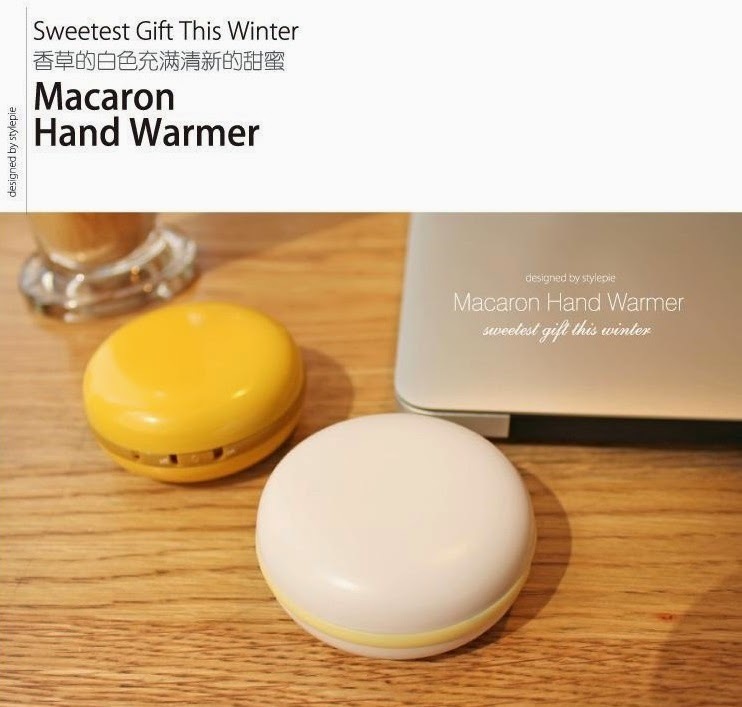 You can use this hand warmer when you feel cool under air conditioning or when you go to watch movie in cinema or sitting in Mcd for long time. 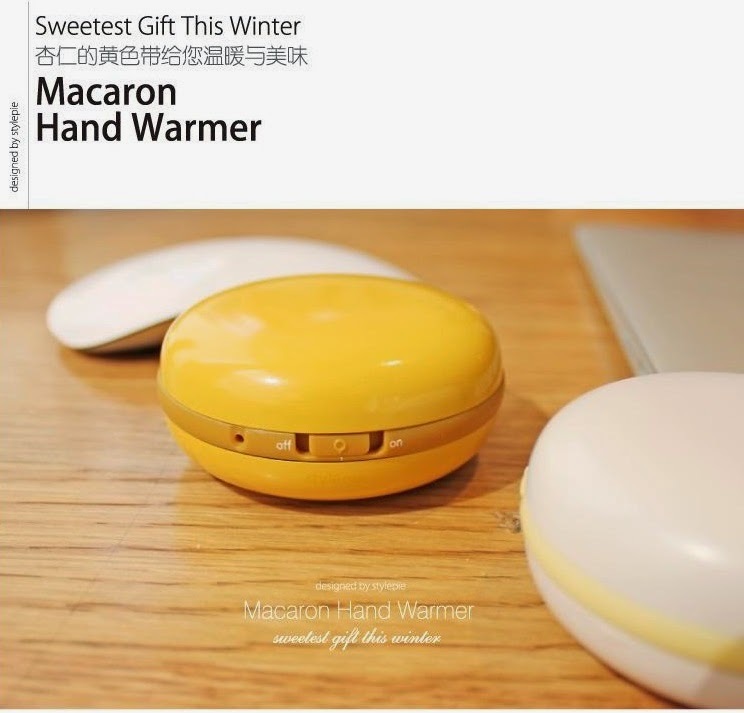 This hand warmer also can charge your phone battery. 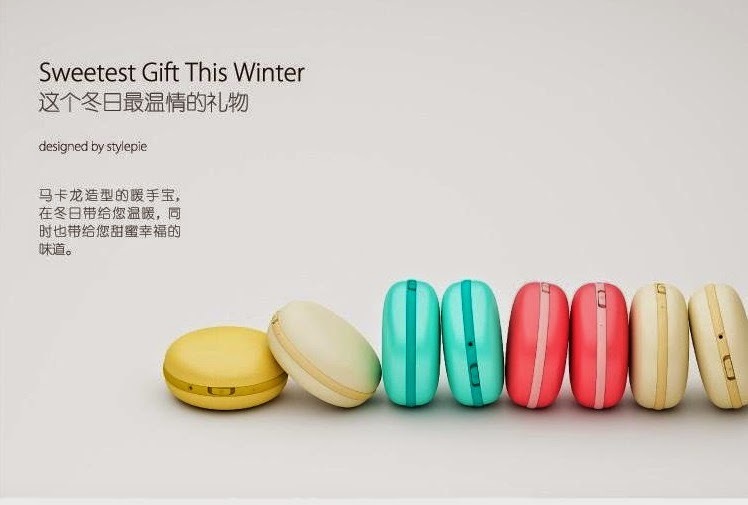 Functions : Blow Function, Double sides warm, USB rechargable, recharge cellphone/handphone/smartphone. 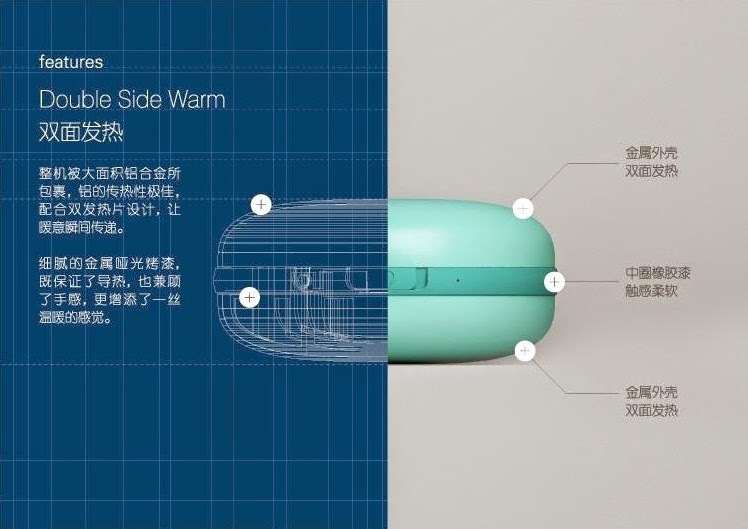 Double sides warm : Whole body is covered by aluminum metal to enhance the heat transmission to warm our hand effectively. 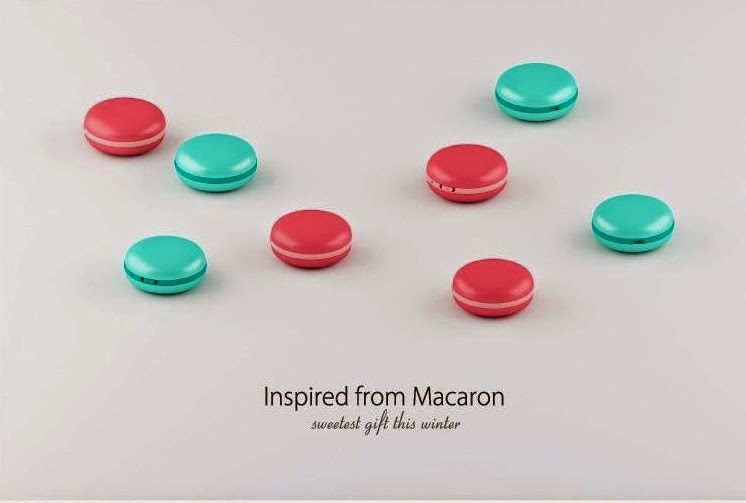 Middle circle ring is soft rubber with paint. 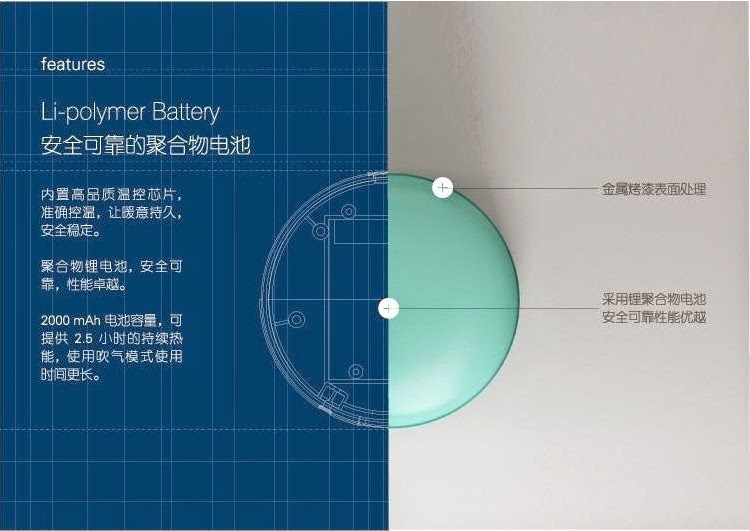 Feature : Li-polymer Battery. There is heat control chip inside the unit to ensure the unit can provide head for stable and last longer. 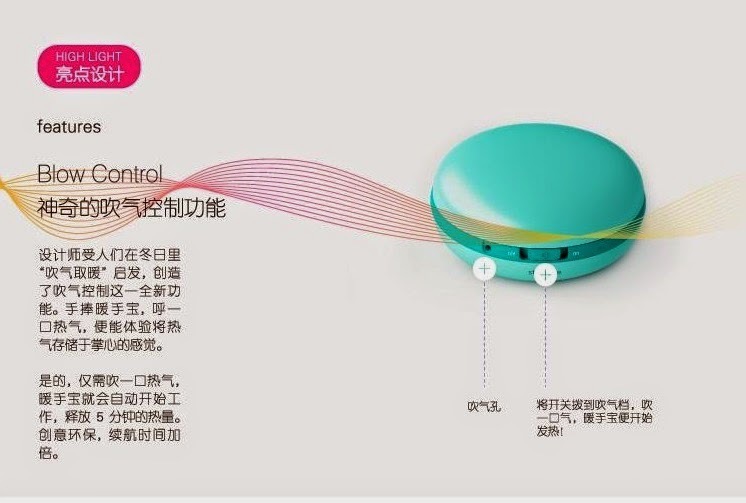 Li-polymer battery is safe and reliable and good performance. Feature : Blow Control. When our palm feels cold, normally we will blow our palm with mouth to keep it warm. This situation is inspire the unit designer to create this feature. 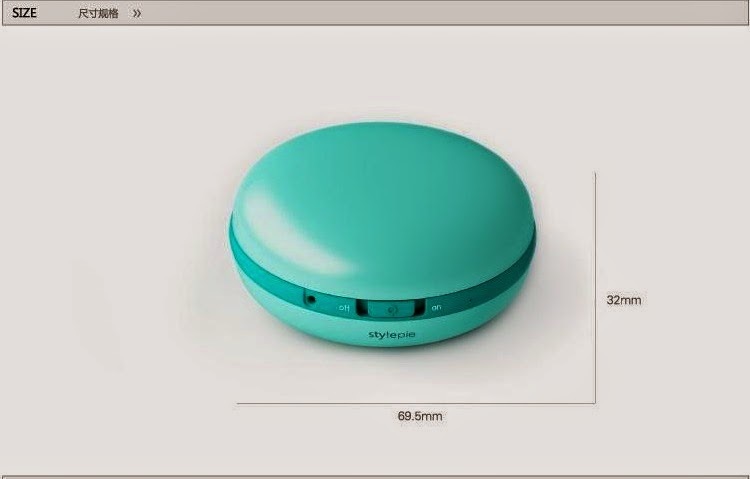 Switch the button to middle, then use your mouth to blow the small hole, then the unit will provide heat for 5 minutes. Feature : Charge your digital devices. 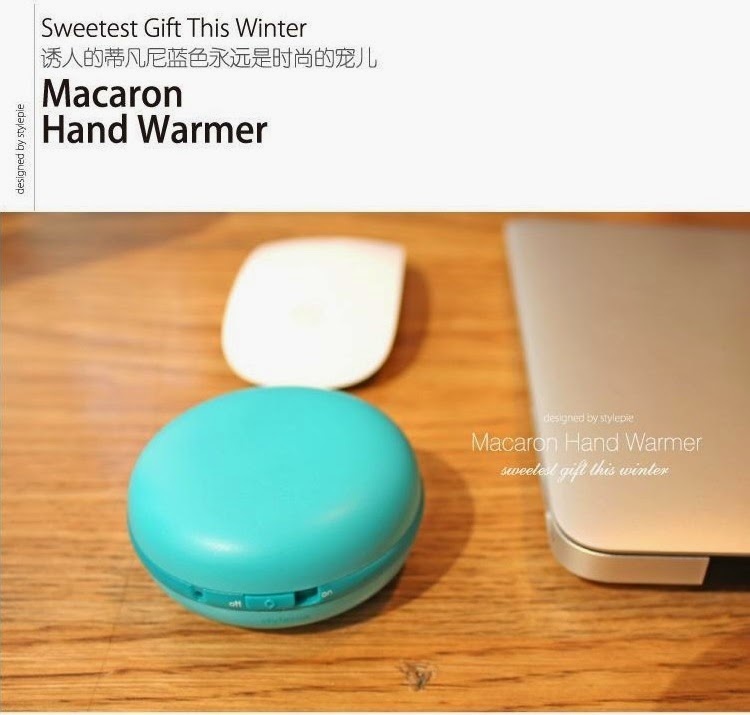 You can use usb cable to connect between this macaron hand warmer to your phone to charge your phone battery. 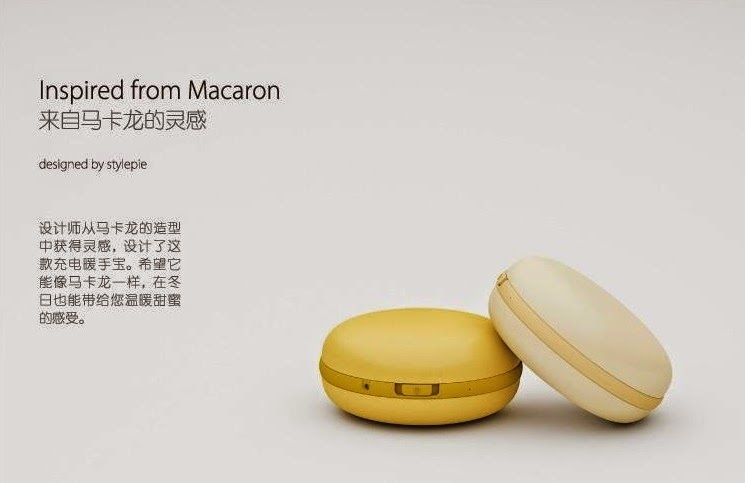 Make it as a portable charger / power bank. 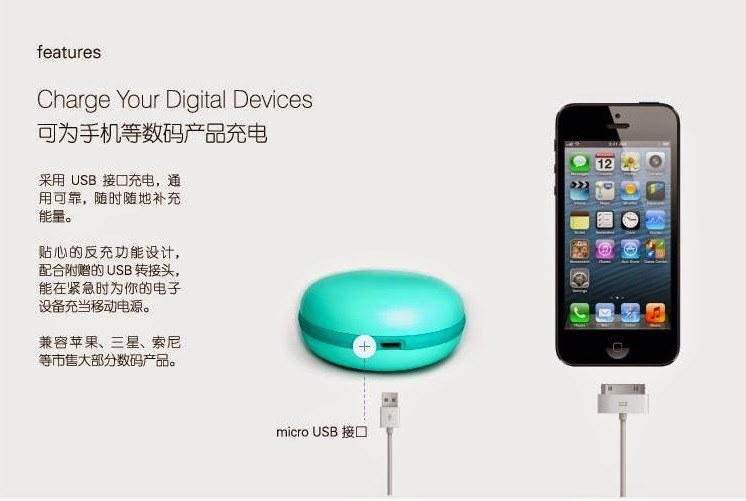 It is compatible to apple iphone, samsung, sony and most of the phone. 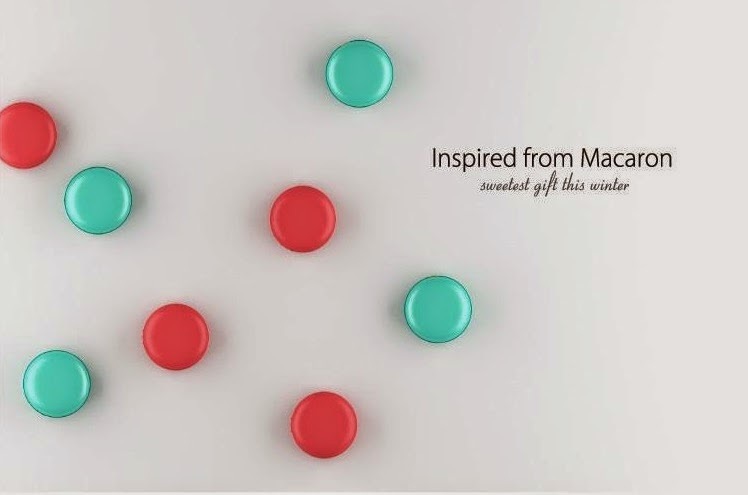 You will get : 1) gift box. 2) manual book. 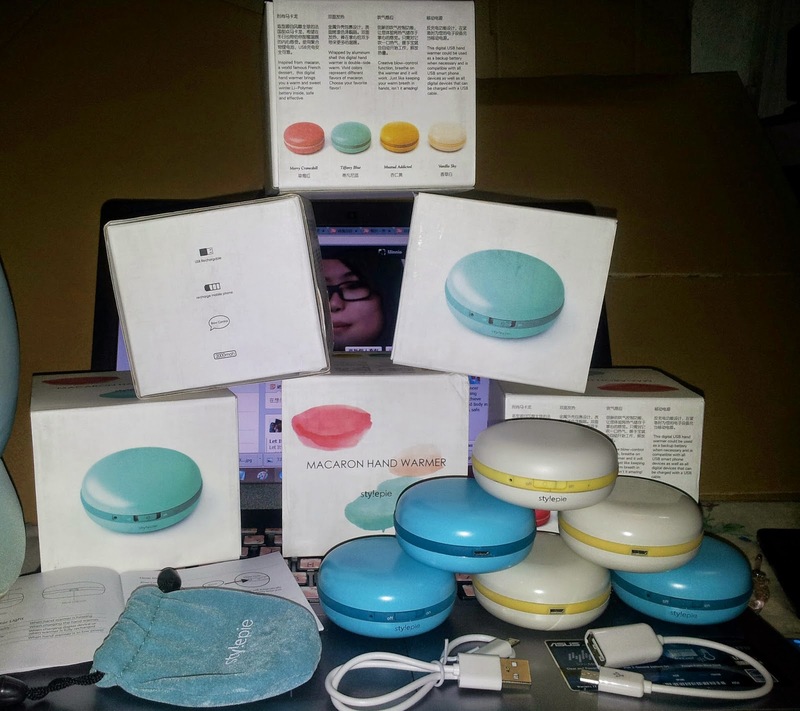 3) macaron hand warmer and powerbank. 4) pocket. 5)reverse charging cable. 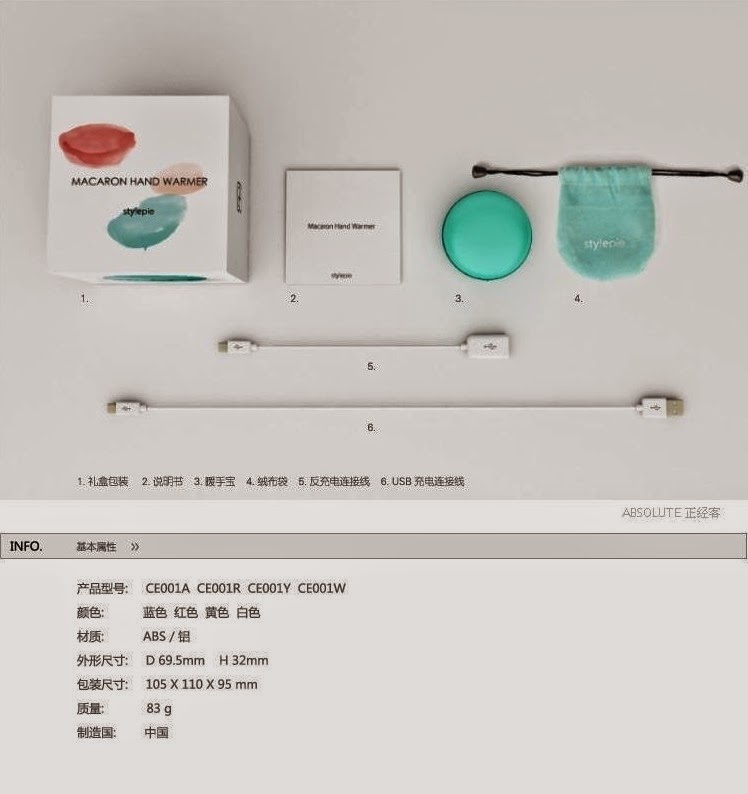 6)charging cable. 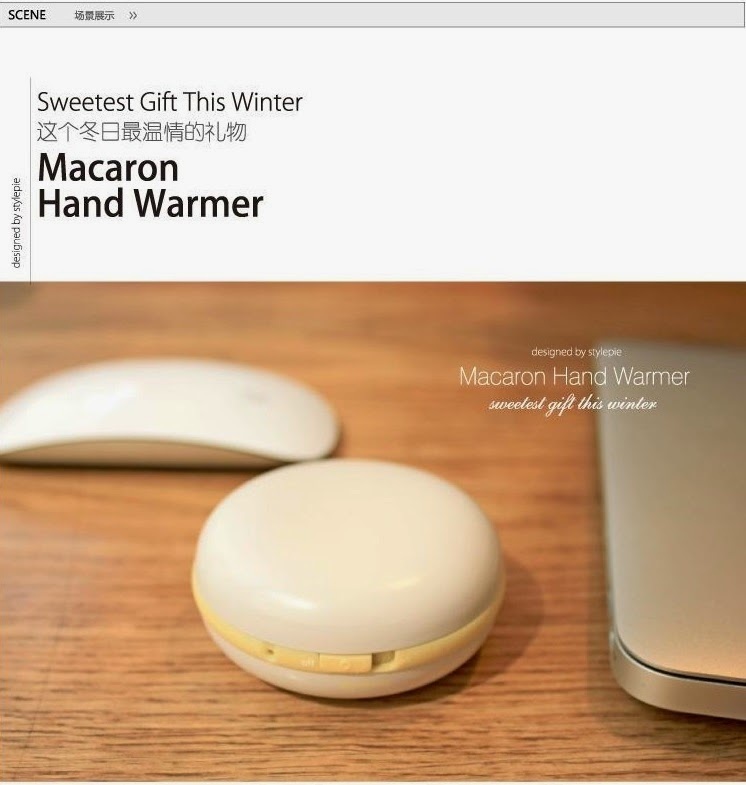 Name of product : Macaron hand warmer. 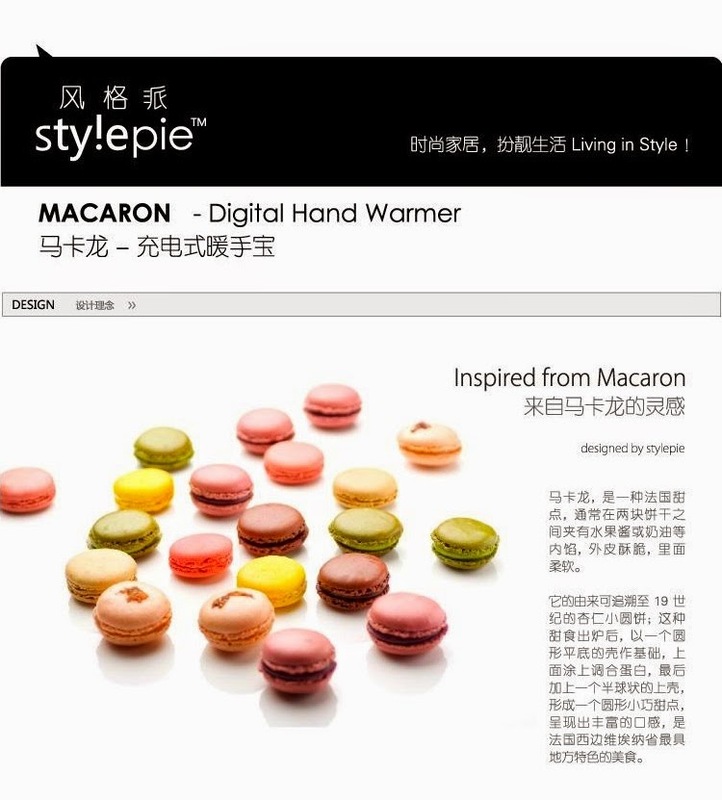 Brand : Stylepie. 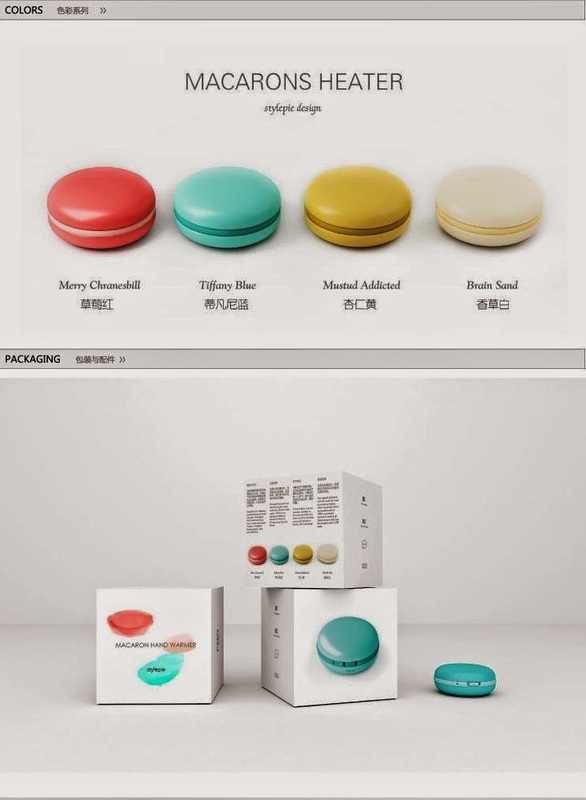 Colors : yellow, white, blue, pink. Weight : 83g. 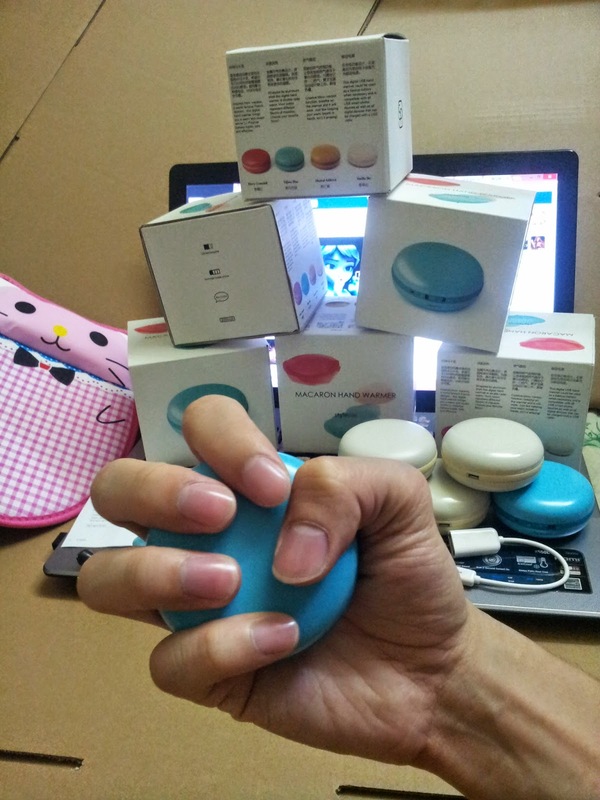 Size : 6.9cm diameter, 3.2cm height. 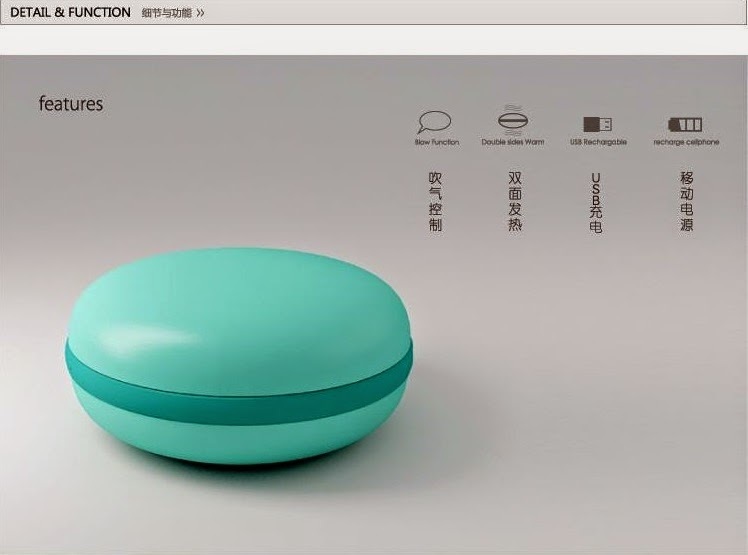 Material : ABS, aluminum metal. 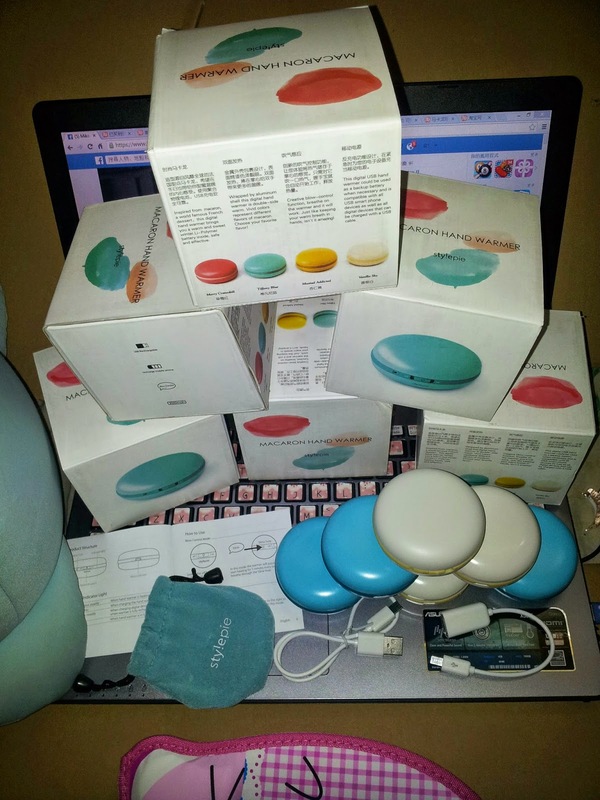 Functions : hand warmer, portable charger for handphone / smartphone / cellphone. Packing : hard paper box. Other feature : Blow it and it will start warming.